Your business has very specific needs when it comes to designing the right HVAC system to regulate the inside temperature of your building and air quality. Here at Cutting Edge Services, Inc. we have over 20 years of successful HVAC design experience. Ambient environment: in order to obtain a consistent, desired temperature, what heating and cooling loads should your new system support? People: The number of people in the building can alter the temperature of the room, depending on how there are, or how frequently they move around. Windows and doors: Windows let in sunlight; doors open and shut, bringing drafts and alternate air temperatures with them. Air flow: air moving around the room, through windows, doors, ducts, vents, etc., will have an impact on your HVAC design. We make specific computations to see how this alters your design. These are just a few examples, and its a lot to keep in order. 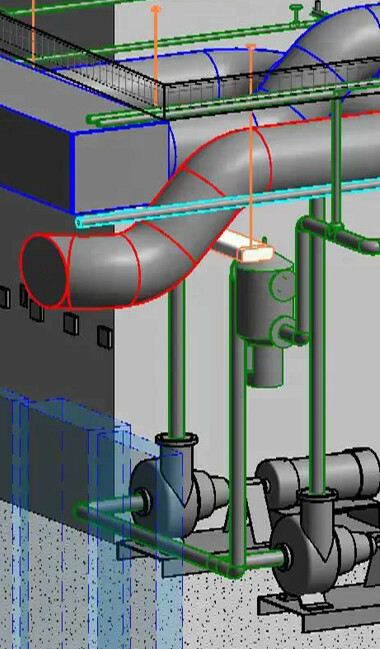 That’s why we always use AutoCAD in our HVAC design.